In Italian with English subtitles. Running time is 132 minutes. 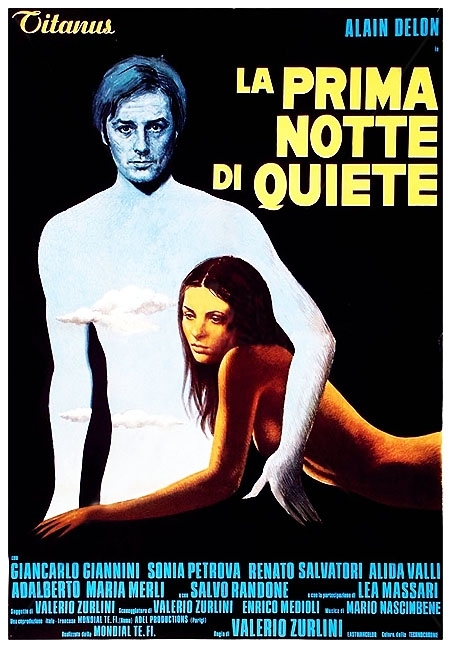 This atmospheric Italian drama is set in the resort town of Rimini, the same small town as Fellini's picture I Vitelloni. The notables of the town spend their time speculating in real estate and doing a little gambling. Their interest is piqued by Daniel (Alain Delon), the magnetic new instructor at the town's high school. He has a high-strung, suicidal wife whose demands he treats with weary tolerance, as he does most things in his life. He is much drawn to a well-worn young woman, and events take a tragic turn when he takes up with her. This film marks a unique acting departure for Alain Delon and is considered one of his best screen performances. Well-done, but too much decadence and gloom for me today. Good print.